Beyond Good and Evil is an 3rd person open world melee action adventure and in our opinion is the most underrated video game of the PS2, Xbox and Gamecube console generation. 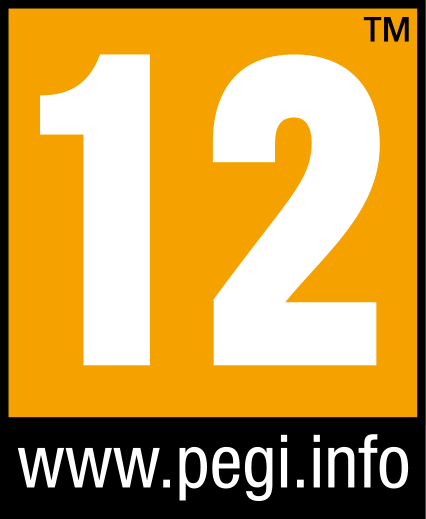 It was originally release in 2003 for those systems and comes from the same creator of the Rayman series. 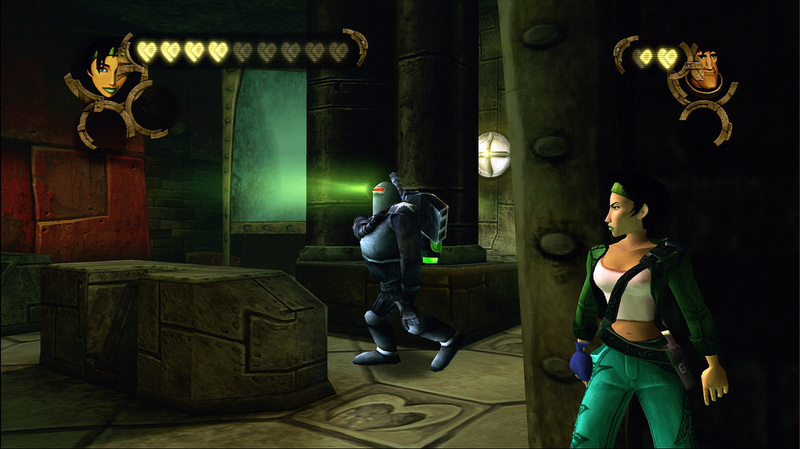 It is in the same style as Jak and Dexter and Ratchet and Clank. The year is 2435 and you are on a mining planet named Hillys and the world is filled with both humans and walking and talking animals. You are Jade, she is human and is an investigative reporter and photojournalist. Jade also runs a lighthouse that is used as a home for children orphaned by the "DomZ" and evil group that kidnaps people and turns them into slaves. She has been hired to look into a plant wide conspiracy by a secret hidden resistance movement. They need her to get evidence that there is something going on that could impact the world. Beyond Good and Evil is one of those rare games that adds in many different game play elements to mix up the action and gets all of them right the whole time. Controls, camera and aiming at perfect, you never have any problems finding what you are looking for or hitting what you are aiming at. Action is fast paced when you are in combat but the game also has this mythical stealth action to mix things up. Remember Jade is an investigative photojournalist and is trying to uncover a conspiracy, so she has to sneak into areas and snap a picture and gather evidence without being seen or heard. There is also several side missions like hover craft races, and you are also being paid to take pictures of all of the creatures on the planet and there are 56 of them. 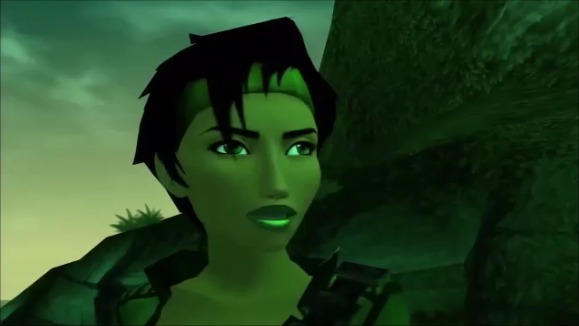 The world of Beyond Good and Evil begins to change as Jade starts to uncover what is going on. The peace on the planet Hillys starts to fall apart as people start learning the truth. Suddenly areas that were uneventful and now filled with protesters and new levels to explore. Secrets missions have a mix of being tired to what is going on in the main story or just giving you something different to do that is not part of what is going on. There is a perfect balance to everything. 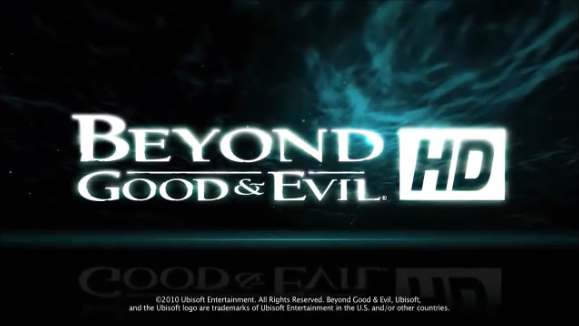 Quick hack and slash combat combined with stealth action and some intelligent puzzle solving are all here in one game. 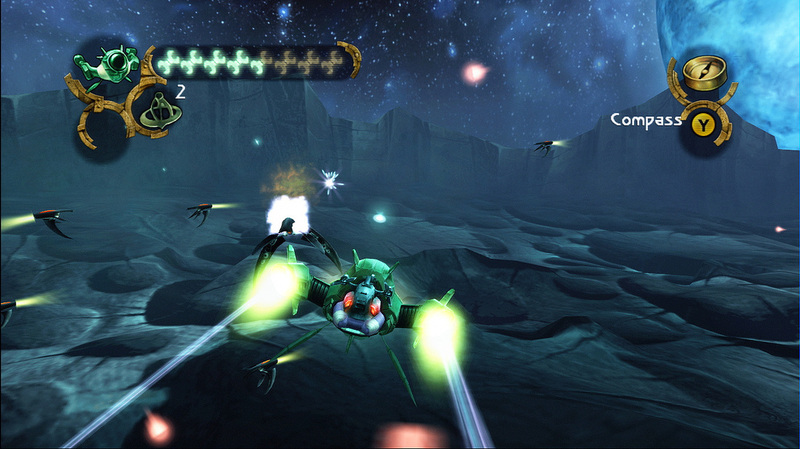 Beyond Good and Evil also has one of the most challenging final bosses we have ever fought. Beyond Good and Evil HD took us almost 15 to complete the game and that is with doing all of the side missions and finding all 56 creatures. This game is so good we wish it was longer and we keep hearing about a sequel but it has not happen yet. This game is easily worth the money to go out and download right now at $10 but the good news is it goes on sale all the time at under $5. Sadly when Beyond Good and Evil first came out it flopped even though it is outstanding and is even loved by critics. Some say it is because the main character is female (we hope not) and others think it is because for a game that is rated T for Teen it dealt with such adult matters of inequality and conspiracies but it looked way to cartoony. The reasons do not matter because it is amazing and you need to own it. Must own for all retro gamers!